Entry forms and more information coming soon via Art Unlimited. Glen Willow Stadium will host the first-ever Mudgee Night Glow. The evening will include a family friendly night market offering some of the region’s best food, wine and hand-made crafts, along with live musical performances to entertain you. The festivities will also include roving performers, face-painting and jumping castles to keep kids of all ages entertained. This event is all about lighting up the night so glow-in-the-dark t-shirts, glasses, headbands and other glow items will all be available for purchase during the event so that you can get your glow on. The main event will be the spectacular balloon Night Glow which will see hot air balloons inflated and tethered in the Glen Willow Stadium. The Night Glow will be choreographed to music and will culminate with a spectacular fireworks display. It will be on from 5pm to 9pm. This event is weather dependent. In the unlikely event of extreme weather, ticket holders will receive an email on the day of the event advising of event cancellation and all tickets would be refunded in full. Event updates will also be posted on the Facebook page. This annual exhibition will take place over the June long weekend (7–9 June) in conjunction with Gulgong’s Henry Lawson Festival. The competition is open from 1 February and major prizes include the Clyde Oakley Memorial Prize ($1,000), a people’s choice award ($500), art form, adult and youth categories. 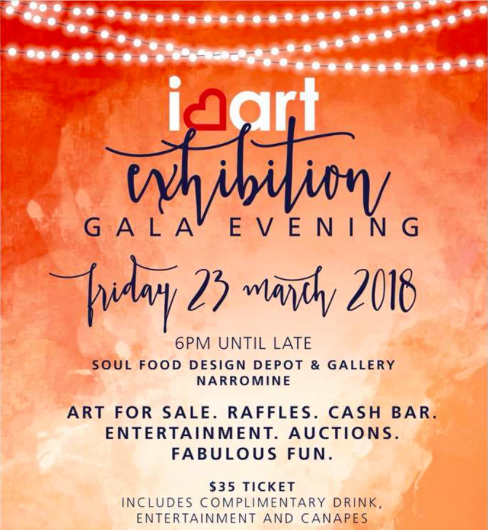 For more information and to enter, please visit Gulgong Arts Council. Celebrate the Winter Solstice in Coonabarabran! Articulate Festival showcases arts and culture with inclusive events for all ages and tastes. Keep track of what is on offer this year via the Articulate Festival website or the festival's Facebook page. Find your story in Mudgee: for its’ tenth year, the Mudgee Readers' Festival brings stories, books, ideas and fun to the town of Mudgee each year, through a dynamic and boutique program of events. They pride themselves on sharing stories with the community in new and engaging ways. Look out for the program and special events via Mudgee Readers’ Festival. Save the date for West Words Festival in Dubbo in 2019, presented by the Outback Writers’ Centre. The Cementa Contemporary Arts Festival in Kandos will feature 4 days and nights of performance, sound, cabaret, interactive and electronic arts, video, photography, installation and ceramics. More information via Cementa. This major international ceramics event will return to Gulgong in 2020 — save the dates! Pictured: Chester Nealie at the 2016 Clay Gulgong opening of his exhibition. This one-day school holiday workshop will guide young filmmakers to use easily accessible equipment and resources to create a short film from script to screen. Participants will learn how to make a short film from start to finish with their own devices and will work as a team to create a short 1 to 3 minute film as part of the workshop. Run by the Dubbo Filmmakers at the Wellington Library, book your place here. Every great music city needs a great music festival: Under Western Skies is Dubbo’s brand new music event celebrating the art of the Central West. With food, drink, art and activities in the idyllic, historic surrounds of Dundullimal Homestead – bring the kids for a family-friendly afternoon and evening under our enormous western skies. Book tickets and find out more here. Be part of something special! Bring your creative self to participate in learning the basics of myth-making, then apply what you have learned to envisage a story that will be told at this year's Articulate Festival via music, dance, and spectacle. All participants will receive a free writing portfolio to take home with them. Light Lunch and refreshments provided. No experience necessary — just be ready to join in with your ideas. RSVP via Facebook. 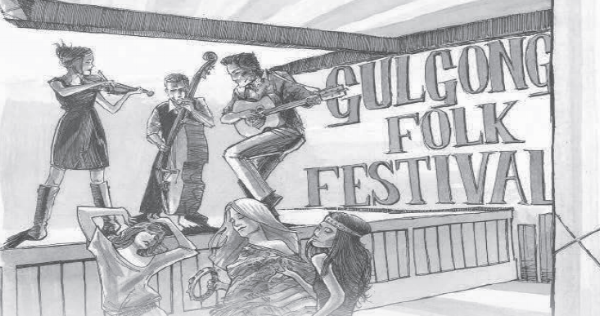 This year the annual Gulgong Folk Festival will include: Highlander, Sancha & The Blue Gypsies, Den Hanrahan, Steel City Sue, Reeling Rosie, Stringline and many more great acts. Also on the line-up: workshops, markets, blackboard concerts, sessions, busking, poetry, the John Dengate political parody songwriting competition and a Steinway piano recital. More at Gulgong Folk Festival. The Twisted Sisters, Cecily Walters and Toni Morrison, recreate the spirit of the universe in wool. Employing modern techniques to one of the oldest fabrics they construct energetic three dimensional pods and sculptures that bring together the vastness of the solar system to the earthy familiarity of our natural world. This HomeGround exhibition is presented at the Western Plains Cultural Centre. For more WPCC exhibitions click here. 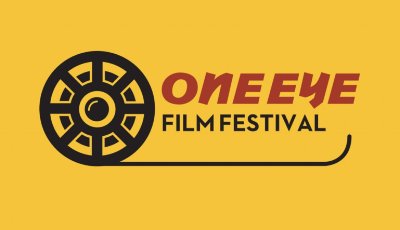 One of the major projects of the Dubbo Filmmakers Group was the launch in 2013 of the One Eye Film Festival, hosted by the Western Plains Cultural Centre. This has become an annual event, screened in November. More information via the Dubbo Filmmakers. Dunedoo's annual live music event Tunes on the Turf will be back and bigger than ever in 2018 — save the date, with program details to come. Follow Tunes on the Turf for up-to-the-minute information. Coonabarabran sculptor Gary Cooper presents his collection of sculptures made from recycled and reclaimed materials, at the Pegboard Gallery in Baradine. Sewing, quilting, knitting, crochet, paper crafts, painting, pastel work, drawing and more! Entries are invited in arts and crafts. Stallholders welcome. Closing date for entries: Thursday 11 October. Entry forms and further information available by phone: 6842 7846 or 6842 1599. Coonabarabran Town Hall, John Street, Coonabarabran. Opening night: Wednesday 17 October, 7:30pm. From lights and lanterns, pianos on the pavement, music and markets, art competitions, traditional Aboriginal dance and more; the festival captures the imagination of those who attend. Multiple events over ten days — for the full program visit the website. Sculptures In The Garden is an exciting not for profit event that showcases Australian sculpture in a beautiful rural setting within a private garden and vineyard in Mudgee NSW. Proceeds raised from the weekend exhibition go towards a local arts initiative to create a public art sculpture walk in Mudgee’s Lawson Park. Entry into the event is just $5.00 per person and go to our charity partner Guide Dogs NSW/ACT, with children welcome to attend for free. Saturday 6 and Sunday 7 October 2018, open 9am to 4pm both days. Riverfest food wine and music festival featuring 10 of the biggest Australian acts of the 80s at Dubbos very own Lazy River Estate. The picturesque Lazy River Estate is the perfect venue to kick back and enjoy some fabulous locally sourced food wine and beer and a cavalcade of 80s hit-makers. More information as it becomes available here. From 14–16 September at the Western Plains Cultural Centre, you can take writing workshops, participate in panels aimed at demystifying the publishing process, take pitches/consultations and have the opportunity as a regional writer to network, launch, promote and sell your books. Pegboard Gallery presents a exhibition of headwear handmade by Baradine artist Tina Pech. The collection will be able to be viewed and pieces purchased throughout the month of September. So make sure to get yourself a one of a kind handmade piece for the race season! Join Tina on Saturday 1 September at Pegboard Gallery (within Freckles Coffee Spot) at 11.30am for the opening of her exhibition and for the announcement of the competition results. Enter your headpiece made from recycled &/or new materials by 21 August. There are categories for Adults and Juniors. Entries will be displayed for two weeks with the opportunity to be sold if desired. Adult prize winners will recieve a vintage costume photo shoot valued at $150. Junior prize winners will receive a craft pack worth $50. More information and entry forms here. The Mudgee Readers' Festival has been developed to share the joy of reading and sees books take over the town of Mudgee in August each year. A variety of fun and thoughtful events provide something for every reader. This inaugural event is a celebration of arts, inclusion, and culture in Coonabarabran. There will be lots to see and do (and eat and drink!) — from art exhibitions and workshops, to storytelling and Gamilaroi dancing. This family friendly festival is highly accessible and invites everyone to come and visit. Keep up with announcements by following Articulate Festival on their Facebook page, or visit the Articulate Festival website. The Gulgong Arts Council flagship competition and exhibition invites artists in a variety of mediums to compete for awards, including the Clyde Oakley Memorial Prize depicting any aspect of the life and work of Henry Lawson. The exhibition takes place over the June long weekend, during the Henry Lawson Festival, with the official presentation at 11am on 9 June. For more information visit Gulgong Arts Council. A photography workshop will be run over the first weekend of Art Unlimited in Dunedoo, with Dubbo-based photographer Jenet Stewart running the two-day course. Art Unlimited is a Dunedoo art competition and exhibition embracing hanging art, ceramics and photography. This vibrant arts event will be on 18–27 May 2018 and entry forms will be available soon. Visit the Art Unlimited website. 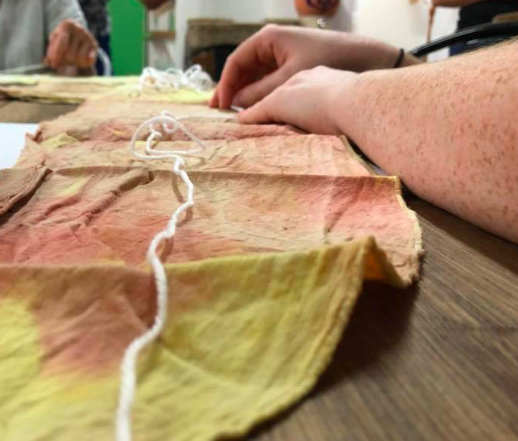 The workshop will explore texture making, mark making and shape creation that tells story of your relationship with landscape and use items from the bush. Using the work of Australian artist John Wolseley as inspiration we will use a variety of tools to create an unique take on the bush around us. More information here. The Mudgee Readers' Festival are proud to partner with the Sydney Writers' Festival to stream select events from their 2018 festival direct to Mudgee in early May. The Sydney Writers' Festival: Live and Local will be beamed into the Town Hall Theatre Friday 4 to Sunday 6 May. Find out more, including program announcements, via the MRF website. Spells for Lost Things is a series of works by Bathurst-based artist Karen Golland. Using her own personal archives alongside inherited collections, Golland explores the role that objects play in conjuring personal narratives and histories. Mimicking the techniques used by museums to document new acquisitions, each collection is researched, counted and recorded. Unlike a museum, Golland then re-works the object by drawing, photographing, copying, reducing and enlarging, changing its meaning and the physical space it inhabits. Spells for Lost Things uses these generated materials as possible ingredients for magic, exploring the multidimensional nature of human existence and reflecting on the complexities inherent in remembering the dead. More information about this and other Western Plains Cultural Centre exhibitions here. This biennial event will take place in a region that is globally recognised for its strong links with the field of ceramics. Mansfield Ceramics are committed to bringing the best national and international artists to the beautiful town of Gulgong. A jam-packed week-long program of events that includes something for everyone interested in ceramics. Photo from Gulgong potter Chester Nealie's exhibition at Clay Gulgong 2016. Lust for Live Acoustic; a series of intimate live music performances by local original artists. 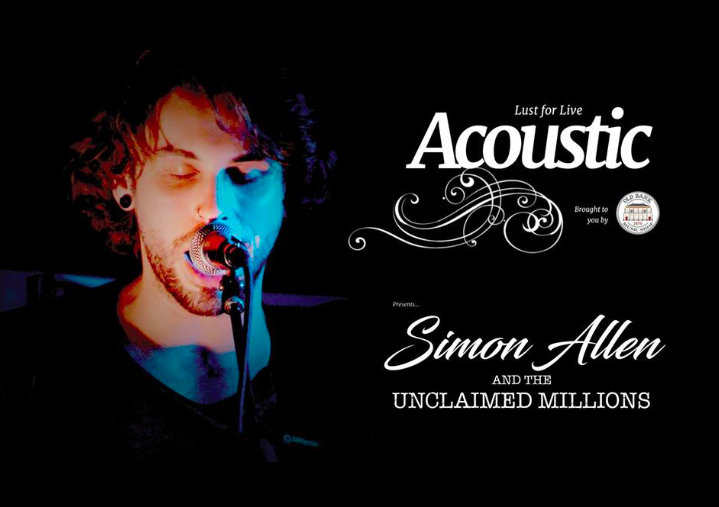 Kicking off the brand new 2018 series is the supremely talented Simon Allen and the Unclaimed Millions — hand-crafting acoustic arrangements of songs from their forthcoming EP as well as some familiar tracks in their own signature style. Lust for Live Acoustic is presented in the Black Box Theatre. Located upstairs in the Community Arts Centre at the Western Plains Cultural Centre — the perfect setting for an intimate music performance. Tickets available here. 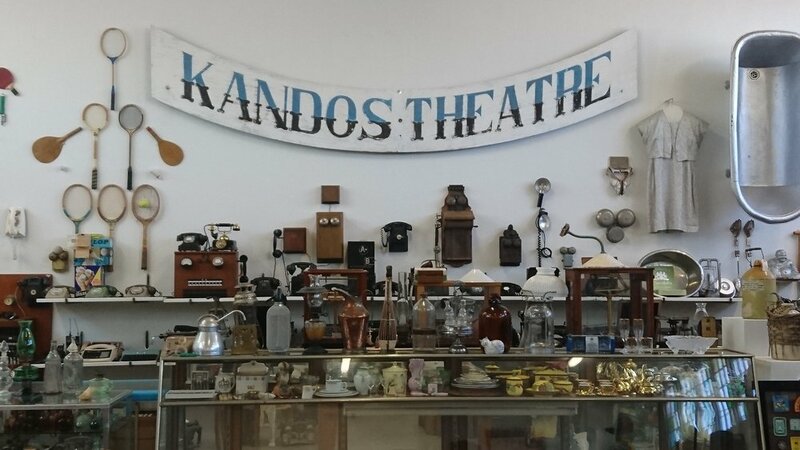 Artists Nicole Barakat, Aleshia Lonsdale and Fiona MacDonald apply their creative and investigatory flair to considering a community museum in Kandos, NSW. Obsolete? Artist, Object, Small Museum asks a central question: how can ordinary lives, then and now, and randomly collected provincial objects, illuminate Big Picture issues? The artists have each engaged with the Kandos museum and region, with a starting point of looking at Australia’s ongoing dispossession of First Nation peoples. The artists’ works are a theatrical mix of assemblage and performance, the making and unmaking of everyday objects or sublime artefacts, their strategies shedding light on how history is claimed and valued. Official opening at the Western Plains Cultural Centre in Dubbo on Saturday 24 March at 2pm. For more on this or other Western Plains Cultural Centre exhibitions click here. 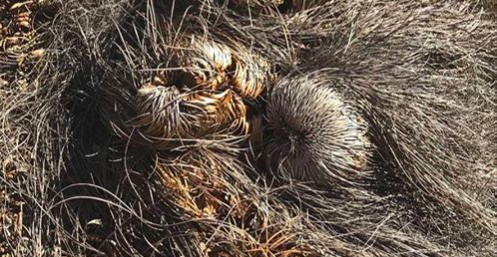 Artist Jeremy Hawkes is offering a day-long workshop titled ‘Abstracted Nature’ at Pilliga Pottery. Artists will use digital imaging to investigate nature and landscape and then be shown a variety of techniques to re-imagine these images into the abstract realm for sculpture, painting or ceramics. Tickets are $65. For more information or to book, click here. 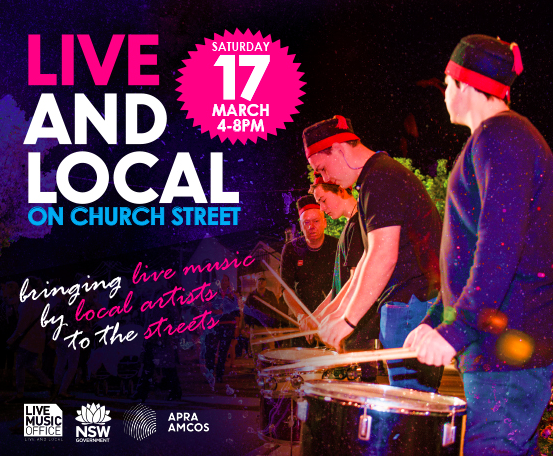 More information on Live and Local on Church Street available via Mid-Western Regional Council. For more information or to book tickets visit Mudgee Performing Arts Society.